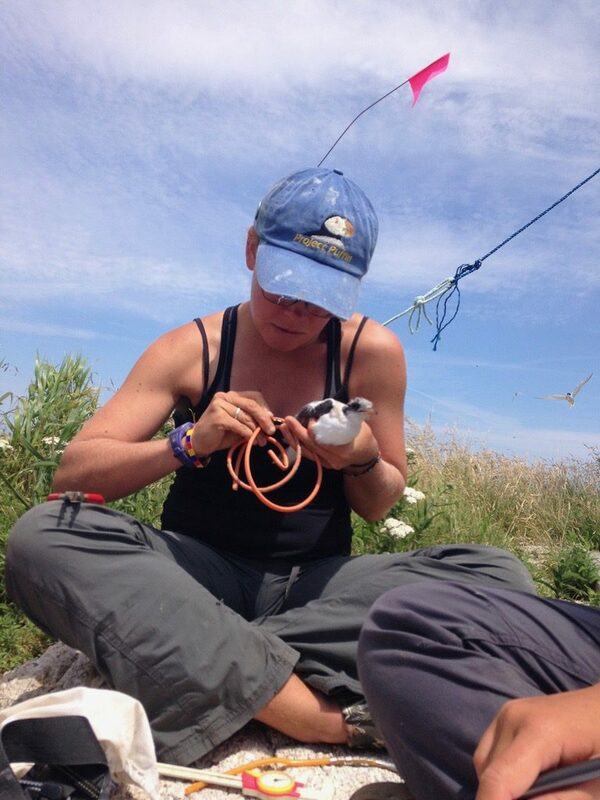 ← I’m featured on Dispatches from the Field! You can also see this post at WildLensInc.org/blog. 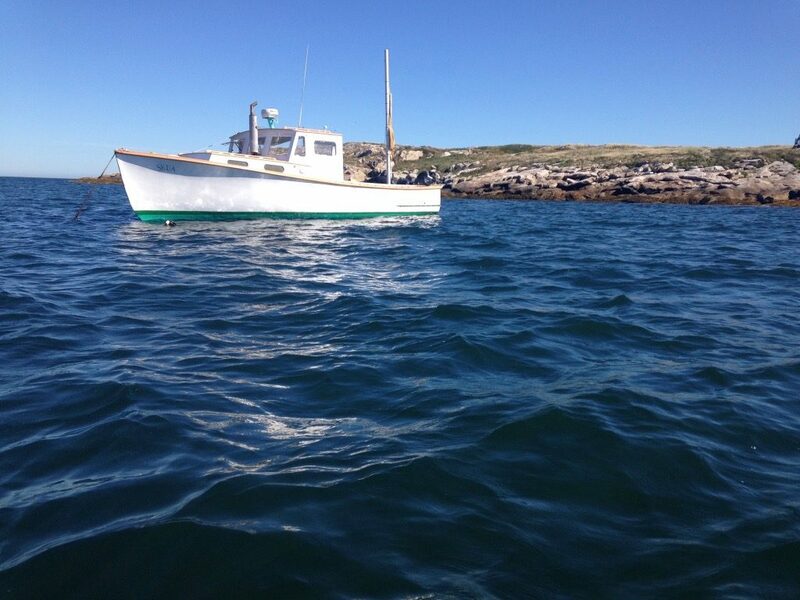 I am thrilled to bid you good day from 23 miles off into the Atlantic Ocean here on Seal Island National Wildlife Refuge where I will be living for the next two weeks on a remote island off the coast of Maine. I am here thanks to National Audubon Society’s Project Puffin, a seabird restoration program that monitors and protects island-nesting birds, including the charismatic Atlantic Puffin. This will be my fourth and shortest stint working on the Project islands, helping to finish out the post-season and close up the island for the winter. I’m absolutely ecstatic to be here! 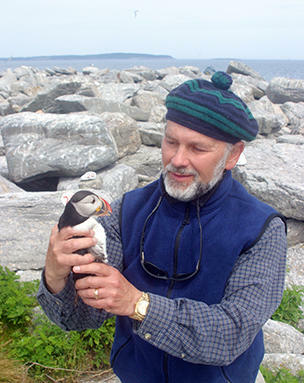 Project Puffin was started in 1973 by a determined young scientist named Steve Kress who has dedicated his life to reestablishing nesting colonies of puffins and other Atlantic seabirds to what now amounts to seven actively managed islands off Maine’s coast. 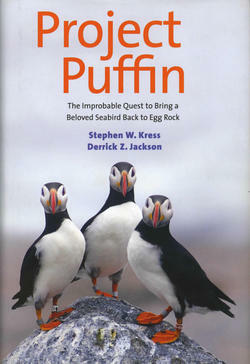 Kress, in collaboration with colleague Derrick Jackson, recently put out a book relating the success story of Project Puffin documenting its restoration of more than 1,000 puffin pairs to three Maine islands (read my book review here!). Further, the book describes how the efforts of reintroducing puffins have simultaneously benefited various other nesting seabird species restored to all seven, including three species of tern. In the mid 1800s, puffins, terns and many other seabirds species were nearly extirpated (locally extinct from a specific geographic location) from the their historic breeding grounds off of the coastal United States. These seabird populations underwent major eradication as a result of overhunting. The millenary trade further contributed to the detrimental impact on the birds, which were targeted for their feathers to adorn ladies’ hats. Many seabird species were also harvested along Maine’s coast for their meat and eggs. 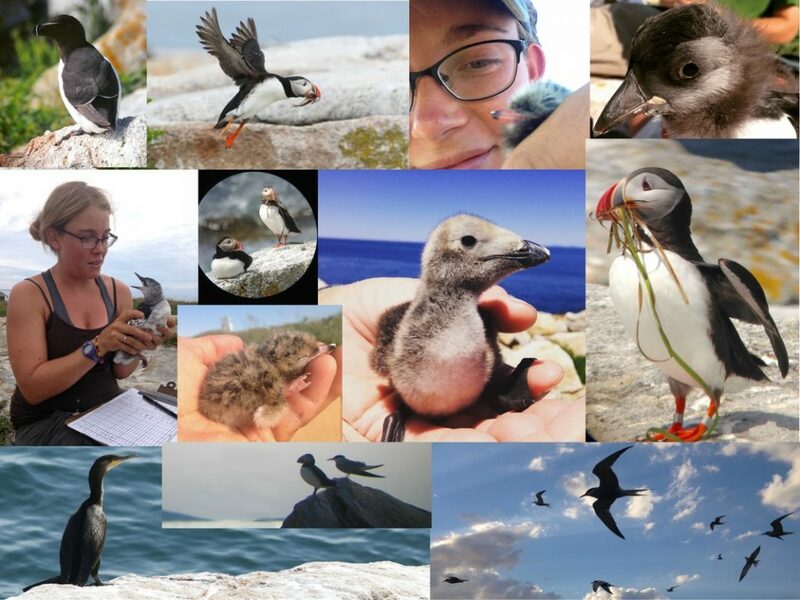 I first worked for Project Puffin in 2003 and returned in both 2005 and again last year during all of which I spent the entire summer on the islands. 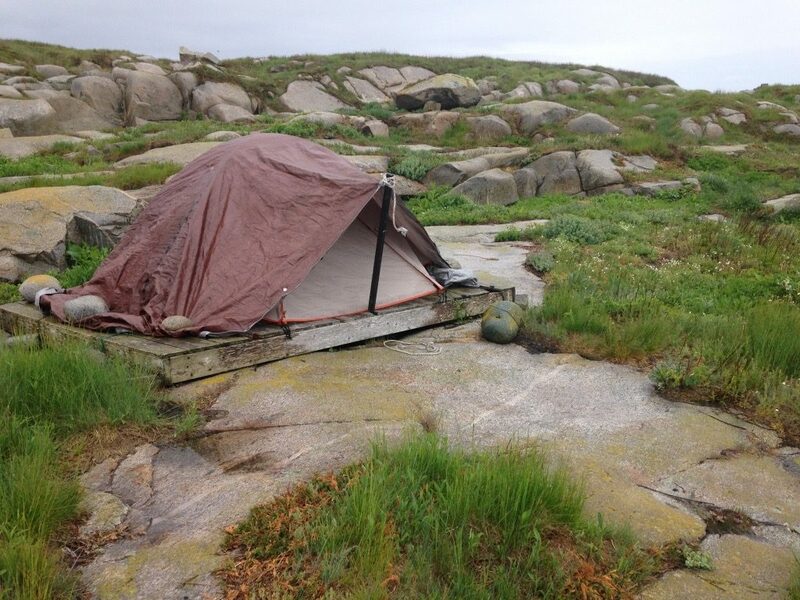 During the 2016 season I started this blog of our work out on Seal Island (which happens to be perhaps my favorite place on earth). 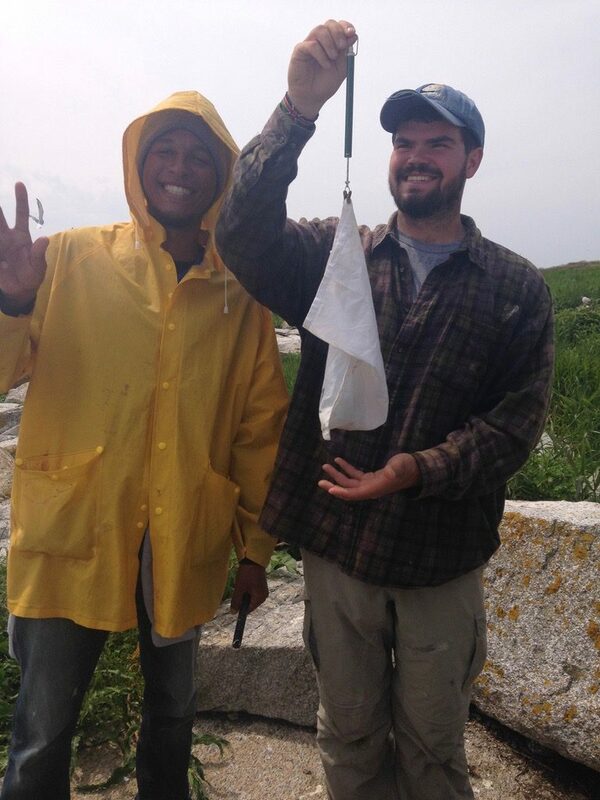 As seabird researchers, we carry out various monitoring studies on the birds including feeding studies in which we document what fish birds are bringing in to feed their young; productivity and chick growth monitoring involves measurements and weighing chicks on a regular basis from hatching to fledge (when they fly for the first time from the nest). 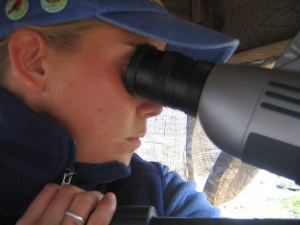 We also actively band all the birds we handle and use birding scopes to resight bands on returning adult birds to determine movement between islands and identify returning birds. How many [birds there are] and how well do they do [productivity-wise], are two of the basic questions asked or addressed by policy and bird conservation planning efforts. 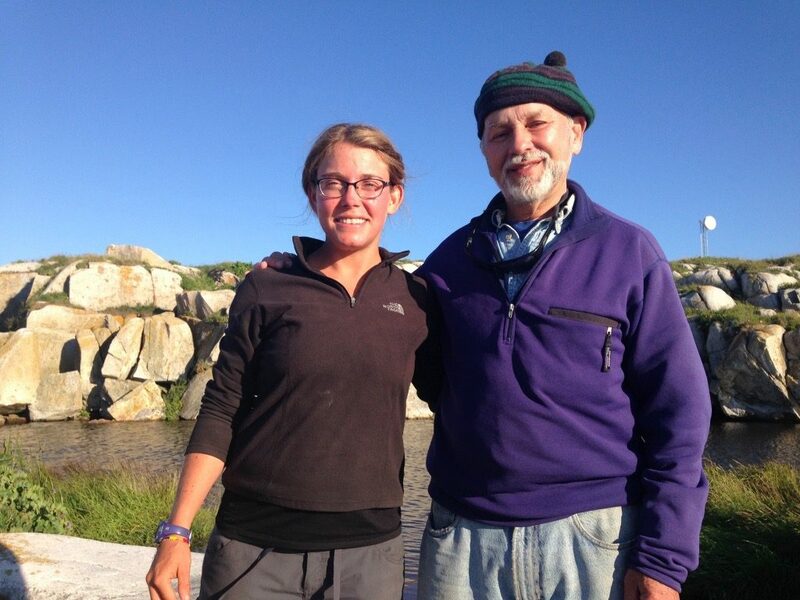 This year I was invited to return to help finish out the season on Seal Island. I’m here with fellow biologist Frank Mayer to act as “island guardians”, in a way. 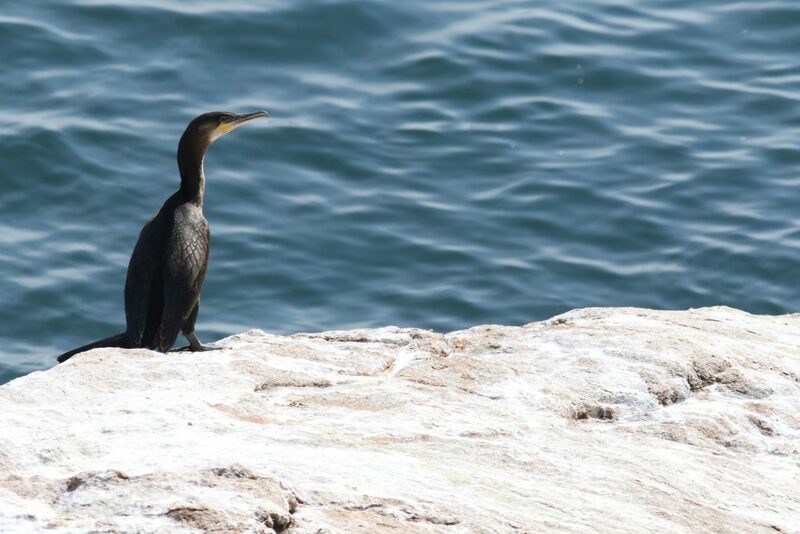 While most of the other seabird species have left for the winter, the later-nesting cormorant colony is still active with large fledgers that are vulnerable to bald eagles which inhabit the island during the winter. Our continuing presence on the island deters the eagles until the young cormorants leave the island for good. Frank and I will be on the island for the next two weeks, protecting the cormorants as well as conducting shorebird surveys, recording the species stopping over on the island along their southern travels for the fall migration. We’ll also be closing down the island, packing all the gear and whatever else away into the 12×12′ cabin in preparation for the harsh winters of coastal Maine. It’s already considerably cool here, a marked difference from the sunny climes of Florida that I’ve been enjoying for the past seven months. We’ve also got some pretty intense winds lately, over 30mph, that have stirred up the seas (and my tent walls!) making for some great wave action (check it out on the live video feed on explore.org!). I got here in time to see a few last remaining puffins and terns but overall, aside from the cormorants and gulls, a fairly quiet island remains. Some fun migrants passing through have included Lapland Longspur (my first ever! ), Northern Waterthrush, Yellow Warbler, American Redstart, Pine Warblers, Cape May Warbler, Empidonax flycatcher species, White Rumped Sandpiper, Sanderlings and various other shorebirds. To get a live look at the island (and perhaps see a short, dark blonde girl wandering by looking for shorebirds and the crashing waves caused by the winds of late), check out the explore.org bird cams for some enthralling “Reality TV“. After we leave, the cameras will be taken down and season highlights will stream, you can view puffins nesting in a burrow and their chick as it grows over the course of the 2017 season as well as “loafing” areas where the birds can be seen hanging out on the boulders. For the winter, one camera will be live-streaming the second-largest grey seal breeding colony in the United States and you can see the island looking almost unrecognizable, lacking its carpet of colorful summer vegetation and often bearing snow. In addition to the enormous seals and their young, bald eagles are often seen and there’s the occasional glimpse of a snowy owl. It’s funny to spend my first year on the island only working the post-season, I miss the raucous terns and the shy puffins, the sleek razorbills, goofy guillemots and elegant murres. Nevertheless, I’m absolutely delighted to be here and I know my future holds many more of these fantastical seabird encounters. 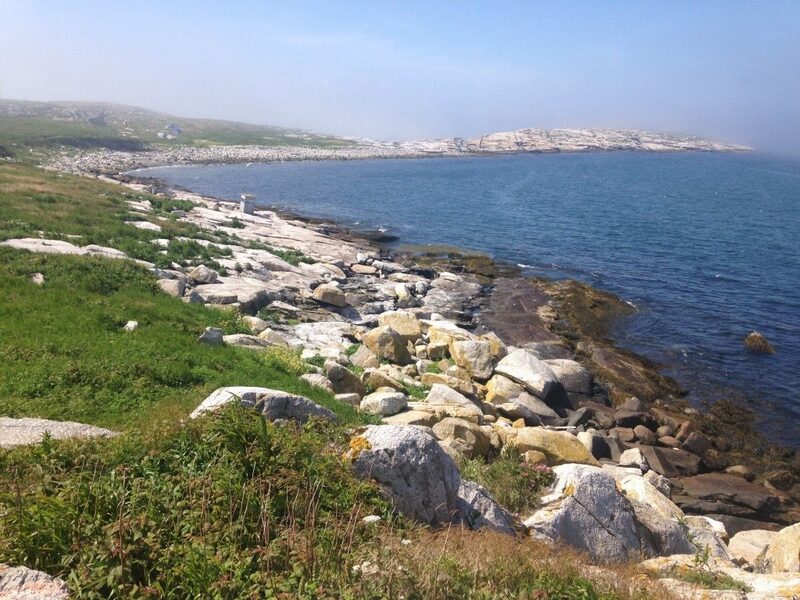 While off limits to the general public, you can get a look at the this mystical, dramatic, richly biodiverse island from the water, I highly encourage you to take a tour out to the area while the puffin nesting season is running. 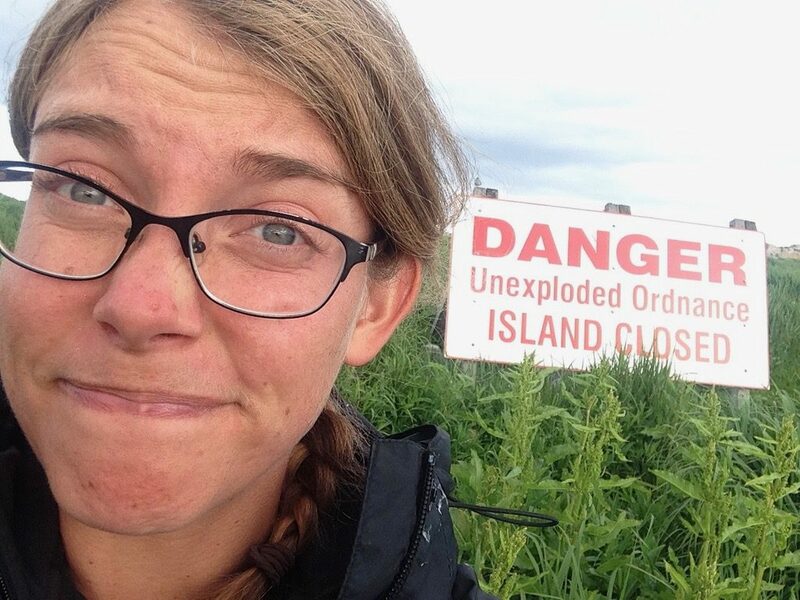 To read more about my past experiences on the Project Puffin islands, check out my blog: feathersawry.wordpress.com, posts from the Seal Island are listed under the archived months of June through September, 2016. Me with Project Puffin Executive Director and Founder, Steve Kress, 2016. 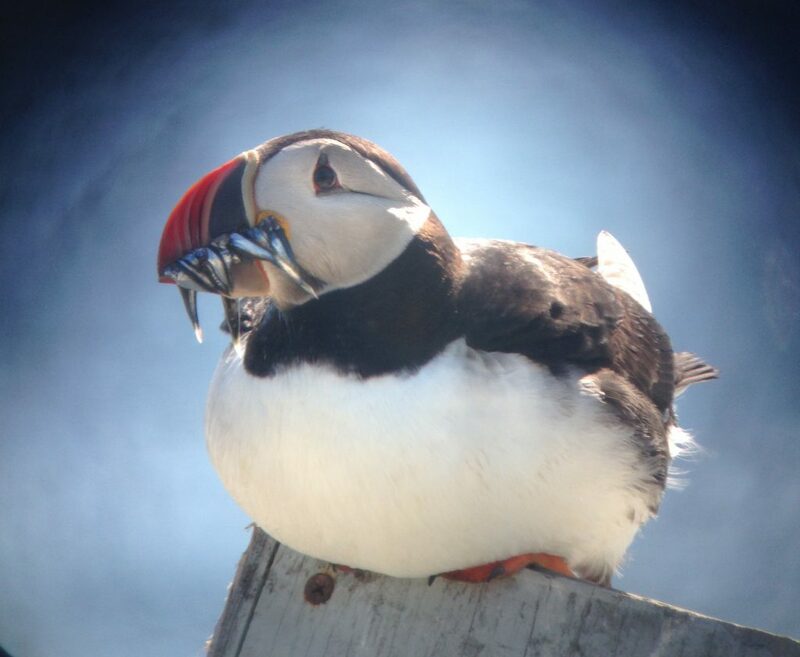 This entry was posted in BirdJob, birds, Project Puffin and tagged camping, conservation, cormorants, eagles, fall season, maine, migration, nature, photography, post-season, puffins, research, seabirds, seal island. Bookmark the permalink. 2 Responses to Project Puffin: Back to the Island!